You can link to BoogieJack.com and help others find and enjoy this resource. If your site was previously included in my links directory prior to 2008, the software I was using to manage the links directory was hacked. I'm looking for other links management software that is more secure. When I have something ready I'll post a notice here. Thanks for your kind understanding. If you prefer to use a link graphic you'll find several choices below. You'll also find some site descriptions you can use, which would be fair because you'll be able to include a description of your site, up to 250 characters, when you submit your site for a reciprocal link. Be sure to change the part that says "image_name.jpg" to the name of the image you download. If you keep your images in a separate folder from your HTML page where the image link is used, be sure to include the correct path to the image. If you don't know how to download an image, here's a tutorial that explains it. Thanks for linking to me, good traffic to us! When you submit your site for a recriprocal link you'll be ablel to include a description of your site. I'd appreciate it if you'd include one for mine, although it's not a requirement. Of course, you can write your own description of this site, or use one provided below. Feel free to modify the description you choose to suit your own style. <a href="http://www.boogiejack.com">BoogieJack.com</a> is a webmaster resource site featuring easy-to-understand web design tutorials, free graphics, and too many other great features to list. Not into web design? It's a great resource that's also a cool place to visit. I highly recommend it! 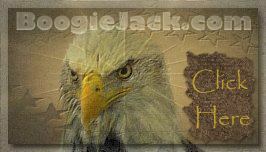 Be sure to visit <a href="http://www.boogiejack.com">BoogieJack.com</a> for the best web design tutorials and great web graphics. 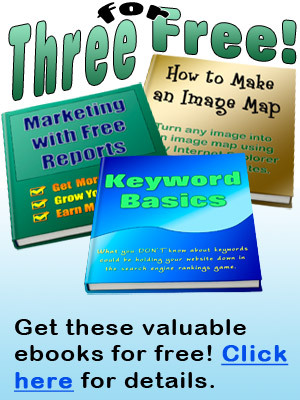 It's a top webmaster resource! It's hard to compare <a href="http://www.boogiejack.com">BoogieJack.com</a> with other sites. Created by a published book author on web design, the web design tutorials are written with humor and ease, the free graphics archive has some beautiful works of art, and his writings about life are always enlightening. You really should check it out. Visit <a href="http://www.boogiejack.com">BoogieJack.com</a> today for web design tutorials, graphics, search engine optimization and other webmaster topics and you won't be disappointed. Top notch site! <a href="http://www.boogiejack.com">BoogieJack.com</a> is THE place to go for web design tutorials, web graphics, search engine optimization, great webmaster software, and other great stuff. It's one of my favorite sites!